We provide a variety of precision casting processes, including: sand casting, die casting, low pressure casting, gravity casting and investment casting. The commonly used processes for precision casting is investment casting, also known as lost wax casting. We provides a high quality affordable solution for precision casting products according to customer requirements. We are able to utilize our low cost structures in China, and provide a low cost and reliable final product, lower than almost any other countries precision casting manufacturer. Iron, Steel, Stainless Steel, Aluminum, Aluminum Alloy, Brass, Bronze, Copper Alloy, Zinc, etc. We support technical standards of precision casting, includes: ASTM, ANSI, SAE, DIN, and BS. The precision investment casting (lost wax casting) is generally used for custom complicated shape casting parts which cannot be reached by die casting or sand casting. It can made from almost any metal, especially stainless steel. The casted parts weight from grams to kilograms, usually not more than 30kg. The unit cost by investment casting is higher than die casting or sand casting, but it has a lower equipment cost. The die casting is suitable for applications that require good surface finish and dimensional consistency. The main precision die casting alloys are: zinc, aluminium, copper, magnesium, lead, and tin etc. Manufacture of parts using die casting is relatively simple, which keeps the incremental cost per item low. 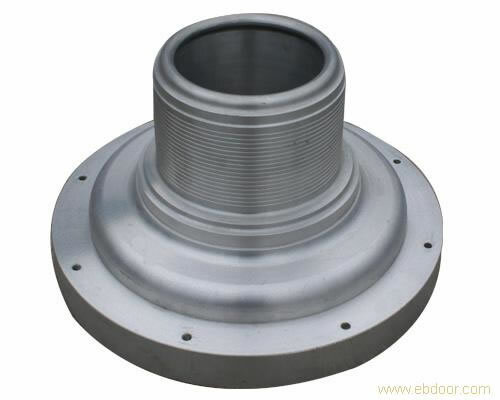 It is especially suited for a large quantity of small to medium sized castings. Sand casting also called sand mold casting, it's used to produce a wide variety of metal components with complex geometries. These metal parts can vary greatly in size and weight, ranging from a couple ounces to several tons. We offer 4 types precision sand casting process for your choice: green sand casting, resin sand casting, shell casting and lost foam casting. The gravity casting is one type of permanent mold casting. The precision gravity casting main advantages are the reusable mold, good surface finish, good dimensional accuracy, and high production rates. The precision low pressure casting procedure is very suitable for the production of high quality aluminum wheels sold to the original equipment manufacturer (OEM) market and for the automotive aftermarket. The precision low pressure casting parts thickness can meet 2 mm to 3.5mm, and metal utilization rate up to 80%. It has the advantages of improved working conditions, mechanization, automation, and high production efficiency.